There is nothing that feels better than a whole community coming together to create something wonderful. Building the Wetlands Learning Lab brought together families, teachers, Arlington County schools and staff, scouts, a fabulous contractor and more–to build an outdoor learning space that is good for children, and good for the earth. 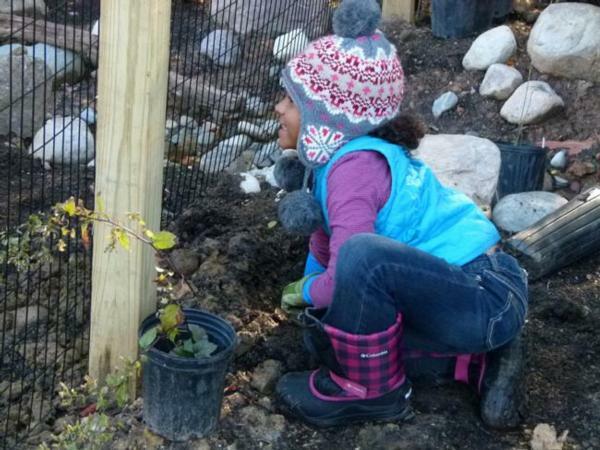 What began as the search for a solution to a muddy problem on the edge of the schoolyard, turned into an exciting opportunity to do something big and really innovative. 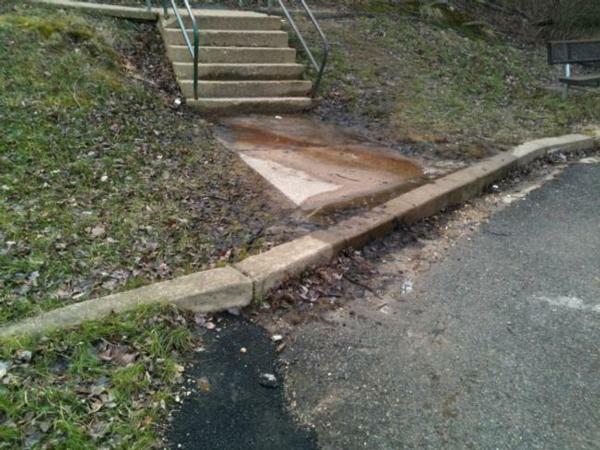 The idea that something unique was happening on the Carlin Springs Road schoolyard began to be clear when students at this expeditionary learning school were digging in the mud during recess, and discovered water bubbling up from the ground. It turned out that several of those Carlin Springs were located at the edge of the schoolyard, and even more began appearing when things underground seemed to shift after the 2011 earthquake. 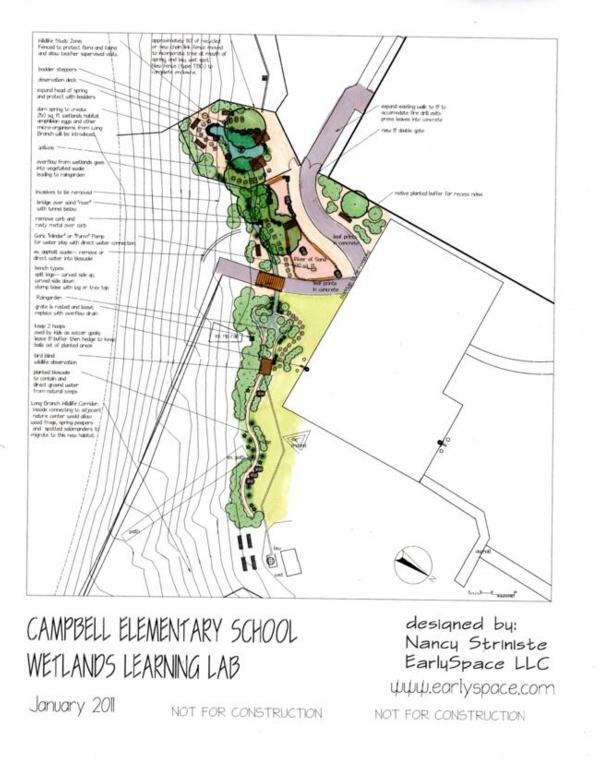 When the Campbell Schoolyard committee called me, in 2010, I reached out to the school’s neighbor, Long Branch Nature Center. Walking the site with Alonso Abugattas and Cliff Fairweather, Arlington County Naturalists, it was clear that we could create a habitat area and wildlife would come through the woods that connects the two sites. 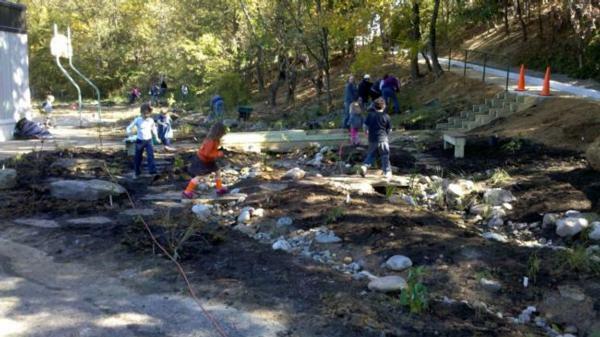 Eventually the design came together and involved removing aproximately 1700 square feet of impervious asphalt, creating a spring fed pool, stream, bioswale and raingarden with paths, bridges, benches and boulders to invite children in to explore and observe. Once the design was complete, fundraising and permitting were the big hurdles. 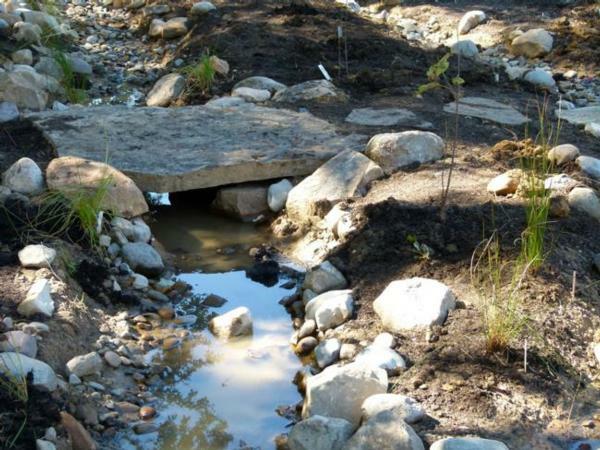 Because the project involved re-grading it triggered requirements for erosion and sediment control under the Chesapeake Bay Protection Act. With lots of support and guidance from Aileen Winquist and Christin Jolicouer in the Department of Environmental Services and colleague Christine Simpson, we were awarded a land disturbance permit this summer. Meanwhile the Campbell community was hard at work to raise the money for the project. They wrote grants, sold engraved benches and fence boards, and held a benefit music festival. Students raised $6000 (with Spell Check, a great online tool that supports academics and empowers kids to make a difference) of the more than $40,000 the project required. Groundbreaking happened on August 1, and six weeks later, Green Earth Landscaping had completed all the grading and hardscape– plus made friends with lots of the curious students! 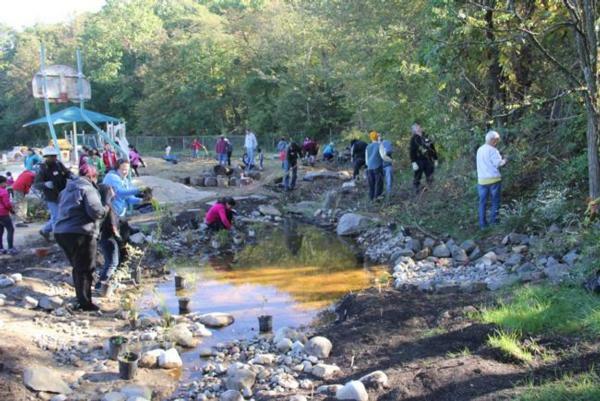 October 13 was The Big Plant, when more than 100 volunteers planted more than 500 native trees, shrubs and perennials (provided by Earth Sangha). Check out this 3 minute time lapse video that shows the whole construction and planting process. 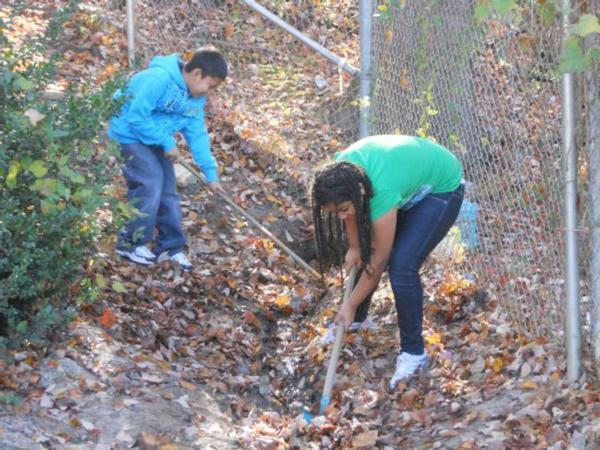 And here we are, featured on Green Scene, an Arlington Educational TV Show. This COULD be your school. 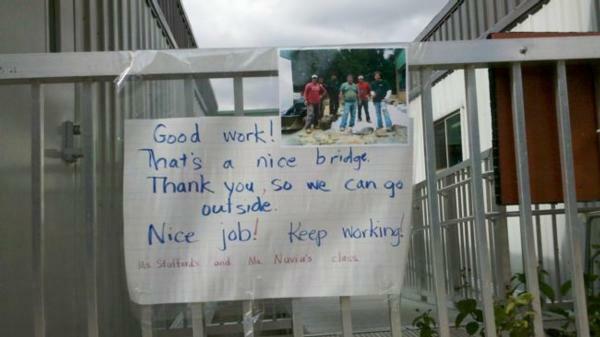 And I believe that this SHOULD happen at all schools. 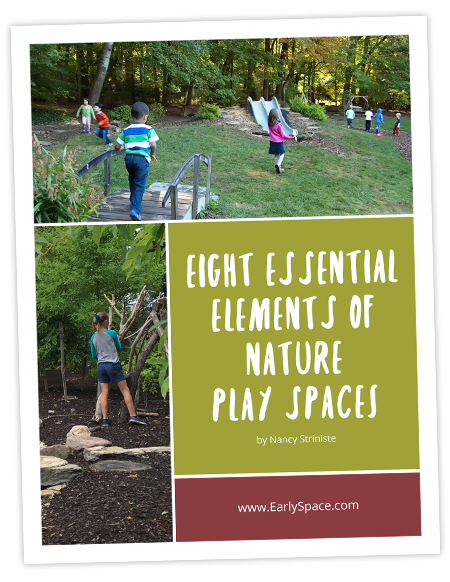 Our children NEED nature and we CAN bring it to our schoolyards. The dedicated staff and families at Campbell, who persisted against so many obstacles, are an inspiration to all schools. Campbell is a Title 1 School, with a majority of low income families. They have paved the way and their example makes it more possible everywhere.